Gracias a Dios! 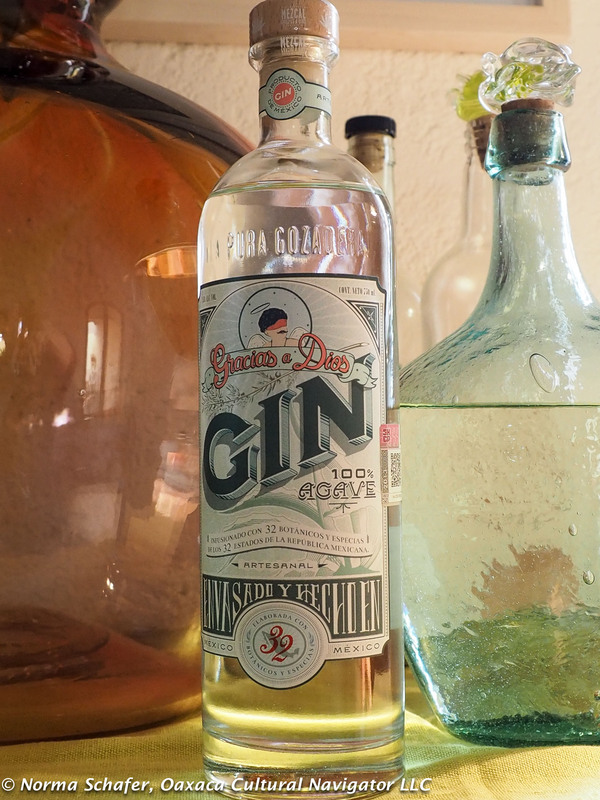 Have You Heard of Gin Mezcal? 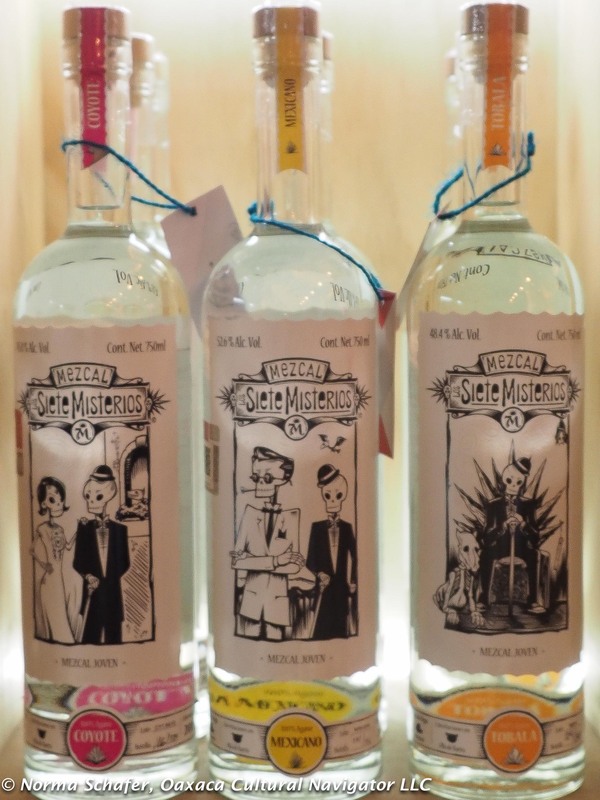 We hadn’t heard of gin mezcal until the other night at Oaxaca’s Origen restaurant. Our very competent waiter suggested we taste it which was on the menu as a mixed drink. What was it like unadulterated? How could mezcal be gin? Hollie asked. Gracias a Dios is the mezcal brand. That means Thank God. They produce several different varieties. This one, our waiter told us, has 32 different herbs including a very aromatic lavender. I guess it’s the aroma that gives the name GIN instead of the juniper berries. It was so good, we each ordered a little sipping cup and drank it along with our dinner instead of wine. Gracias a Dios bottles aged espadin, plus the wild mezcales cuixe and tepeztate. Next question: Can we buy it here? No, he said, and directed us to local La Mezcaloteca on Calle Reforma that sells bottles and dispenses tastings at the bar. They didn’t have it. Can we help you with something else they asked? No thanks. Do you know where we can buy it? 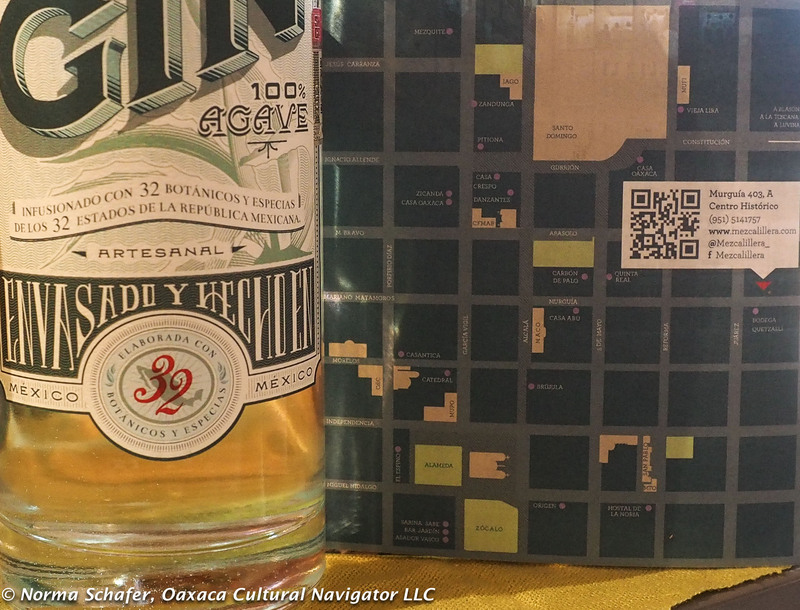 The barkeeper referred us to a vague place at the corner of Benito Juarez and Murguia. Lots of directions here are vague. One needs to be persistent. 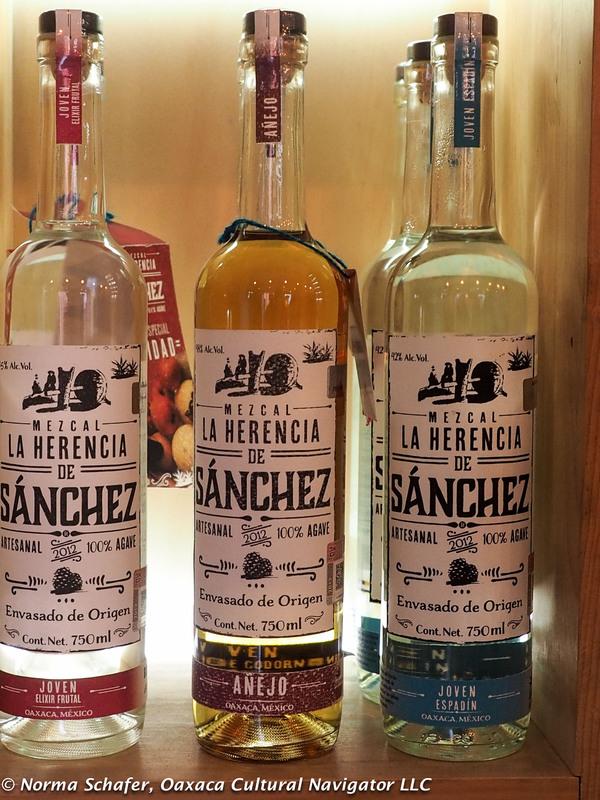 Along the way, we asked at the retail mezcal shop two doors down. No luck. Then, we stopped in a couple of mezcal bars along the way. No luck. At the corner of Murguia and Juarez, there was no evidence of anything resembling the sale of mezcal. I asked a young man with an ice cream cone in his hand. He sported a beard. He appeared as if he might know. Hard to find brands, artesanal and delicious. And he did, pointing us to the middle of the next block on Murguia between Benito Juarez and Pino Suarez. Hallellujah. We found it. And bought the only two bottles of Gin Mezcal. So sorry! Maybe by the time you read this they will have stocked more. 7 Mysteries, with a look like a boutique California wine label. 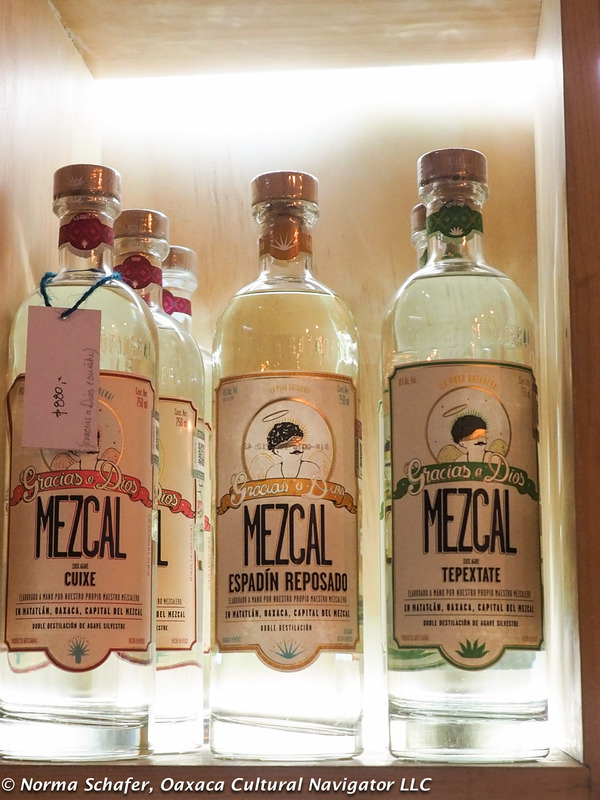 Mezcal provisioners are cropping up all over town. 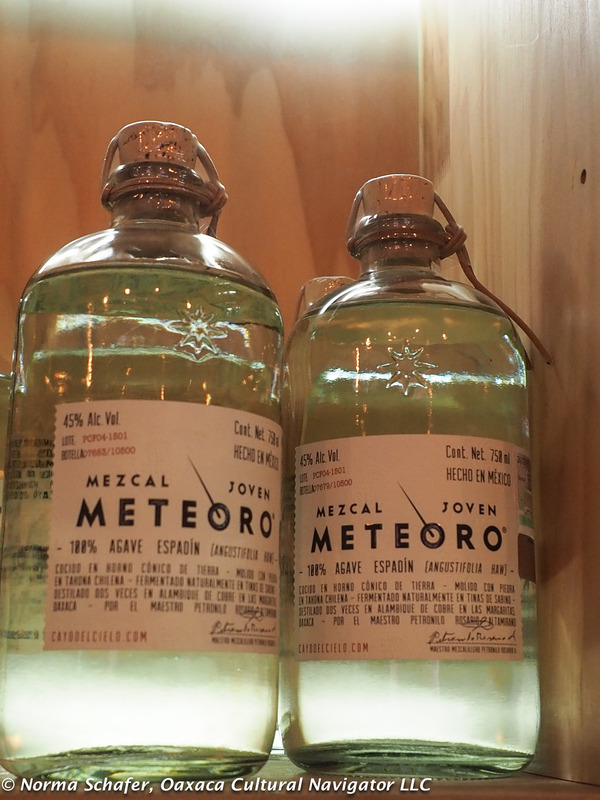 Most mezcal bars will also sell bottles. 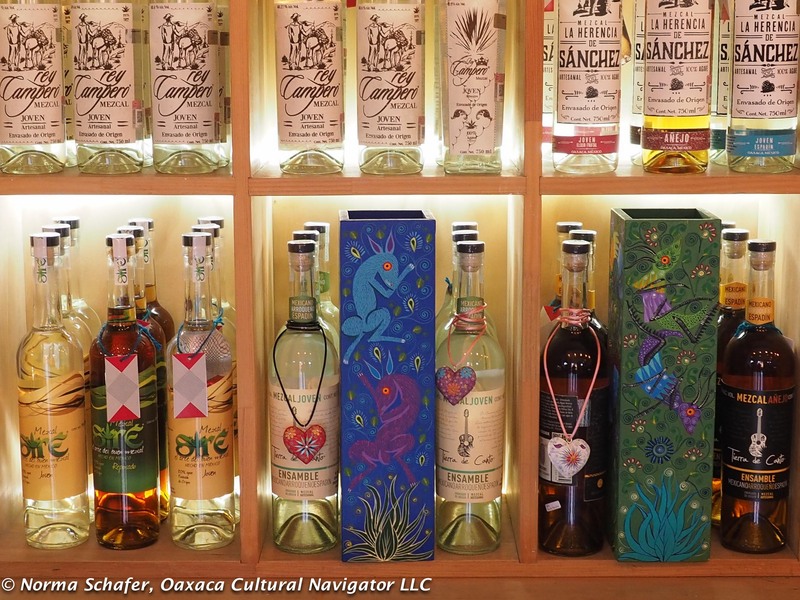 Mezcal is the hot commodity all over the USA and Europe. Some of the bottles for sale have been certified for export. If you go out to the palenques and find the taste you love, you can often buy 750 liters of uncertified mezcal for 200 pesos, a real bargain and fraction of what a Oaxaca retail store will charge. And, now for the Meteor! La Mezcalillera, Murguia 403A, Centro Historico, Oaxaca. Tel. (951) 514-1757. Facebook: mezcalillera Enjoy!